A new installation by İnci Eviner will be presented at the Pavilion of Turkey at the 58th International Art Exhibition, La Biennale di Venezia, to be held between 11 May and 24 November 2019. Curated by Zeynep Öz, the presentation will take place at the Arsenale as recently secured by the Istanbul Foundation for Culture and Arts (İKSV) for the duration of 20 years from 2014 to 2034. She has shown her work in solo and group exhibitions worldwide. She has been invited to participate in numerous biennials including the Sharjah Biennial (2017), Aichi Triennale (2016), Istanbul Biennial (2013 and 2005), Thessaloniki Biennale (2013), Asian Art Biennial (2013), Busan Biennale (2010), Shanghai Biennale (2008) and Venice Biennale (1997). 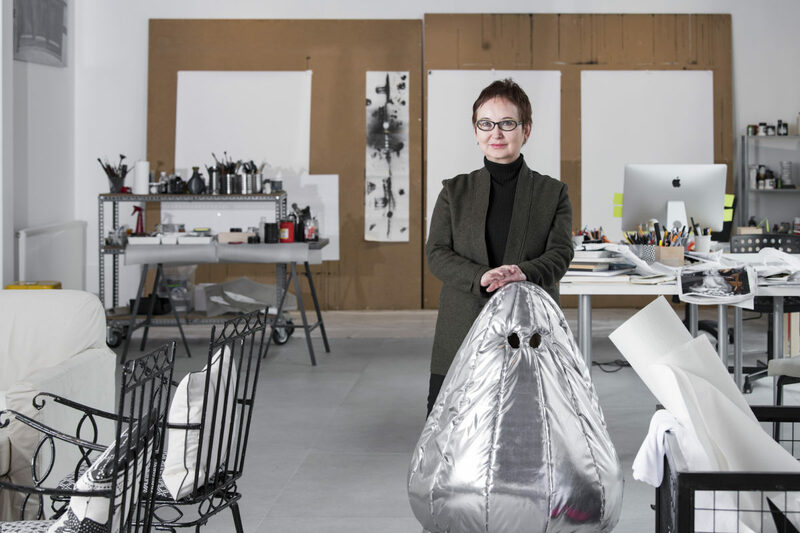 Among the museums where her works have been exhibited are the Drawing Center, the Philadelphia Museum of Art, Thyssen-Bornemisza Art Contemporary, Musée d’Art Moderne de la Ville de Paris, Massachusetts Museum of Contemporary Art, Palais des Beaux-Arts de Lille and Istanbul Modern. The curator of the pavilion, Zeynep Öz, is a curator based in Istanbul. She was one of the interlocutors of the Sharjah Biennial 13, curating the biennial’s off-site project in Istanbul in 2017, as well as Co-Curator of the Aichi Triennale 3, which took place in Nagoya, Okazaki and Toyahashi in 2016. Öz co-founded SPOT Projects in Istanbul and was the director of the Spot Production Fund from 2011 to 2017. During this time she curated the Produce series (I, II, III). Öz has been on the curricular committee of Home Workspace Programme of Ashkal Alwan in Beirut (2015- 2017). Prior to this, she curated the project Plastic Veins at Home Works VI, organised by Ashkal Alwan (2013), and was Assistant Curator for Home Works V (2010). She also organised the film programme Greatest Common Factor, at SALT, Istanbul (2016), and Selling Snails in the Muslim Neighborhood at the Westfälischer Kunstverein, Münster (2013). She holds an M.A. in Curatorial Studies from Bard College and a B.A. in Math and Studio Arts from Dartmouth College. The Advisory Board consists of Serhan Ada from Bilgi University, Department of Arts and Cultural Management, Suna and İnan Kıraç Foundation Culture and Art Enterprises General Manager Özalp Birol, curator and Art Advisor at Istanbul Modern Museum Paolo Colombo, Prof. Dr. Zeynep İnankur from Mimar Sinan Fine Arts University, Department of Western and Contemporary Art and curator at Arter Başak Doğa Temür.